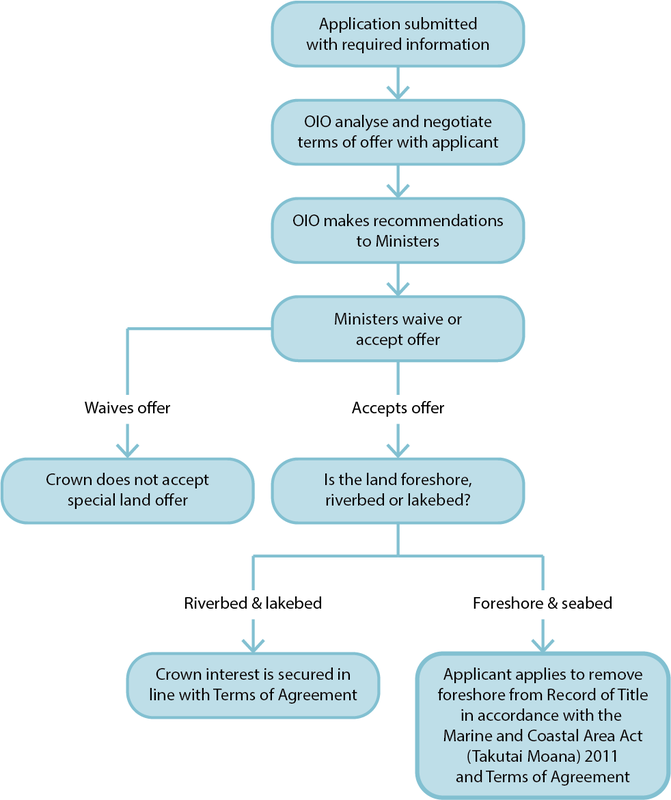 This section contains information about OIO application benefit factors regarding the offer to sell seabed, foreshore or riverbed to the Crown. Special land is defined in Regulation 12 of the Overseas Investment Regulations 2005 as foreshore, seabed, riverbed, or lakebed. If you are investing in sensitive land that is or includes foreshore, seabed, river or lakebed you may be required to offer back the special land to the Crown. The requirement to offer back the special land is set out in section 17(2)(f) of the Overseas Investment Act Factors for assessing benefit of overseas investments in sensitive land and section 16A(4)(f) Special test relating to forestry activities. Qualifying foreshore, seabed, riverbed or lakebed, as defined in section 6 of the Overseas Investment Act 2005 are special land. Determining whether the land you would like to invest in includes special land can often be a technical exercise. We recommend that you engage a lawyer with significant experience in overseas investment applications, a licensed cadastral surveyor and/or a LINZ-accredited Crown property service provider. Applications where special land is required to be offered back to the Crown must clearly identify and describe all the special land. This should include title references, aerial photographs and surveys of the land. If the land contains a waterway (including any river boundaries) that you do not deem to be special land, then you must include an explanation as to why it is not special land. When completing your application to acquire sensitive land that includes special land, you must submit the following documents with your application. A notice of intention (DOCX 26KB) to offer the special land from the owner. A sensitive land certificate that clearly outlines the special land. A survey of the special land (where appropriate). The notice of intention to offer (DOCX 26KB) must comply with Regulation 14 of the regulations. What does the vendor of the land need to do? Regulation 14 sets out that a notice of intention to offer the special land must be made by the owner of the relevant sensitive land. This means that the notice of intention to offer must be signed by the vendor at the time the application is made, as they are the owner of the land. What happens after your application is accepted? Once accepted, we will begin assessing your application. During this process we will assess the special land and determine whether to recommend to the relevant Ministers that they accept or waive the offer. Who decides whether to accept or waive offers of special land? Whether to accept or waive an offer of special land will be made by the relevant Ministers. What happens if the Ministers accept the offer of special land? You must organise to transfer the special land to the Crown in accordance with the conditions of your consent and any other agreements you have entered into. What happens if the Ministers waive the offer of special land? We will advise you that the offer has been waived and the special land process will be at an end. The current Ministerial Directive Letter (PDF 467KB) provides additional commentary on special land.